This post is prompted by a great question from our client Philip; why is it more expensive to translate from Polish to English compared to English to Polish? Thanks are also due to our client Alistair for the original question – we translate engineering manuals for Alistair into various languages for his exports around the world. Alistair’s question was: why is it more expensive to translate into some languages? Relative to demand. Some countries produce many qualified professional translators and many of these people go on to join the profession. In larger developed countries such as UK, Germany and France there are many qualified translators competing for the work, and rates are under competitive pressure. In smaller countries such as Finland, there are fewer translators from a smaller population, and less incentive for these fewer translators to specialise in one particular area e.g. engineering. Translators always work into their mother tongue. There are many more professional translators of English into Polish (for example) than there are of Polish into English. There are few university courses for the latter to produce the translators in the first place. Relative to the supply. Of course high demand for the translators leads to higher rates and vice versa, fairly straightforward for German, French, English – although it’s a more relative thing in translation e.g. the relatively few specialist professional translators in Finland can be in relatively high demand. This is complex because it is also driven by the demand for subject specialism e.g. engineering translation, legal translation. When translating out of English, we always need to work with native speakers of the target language, usually based on their own country. In high wage economies such as Finland, they demand high rates of pay (otherwise they would do other work), in lower wage economies such as Turkey they demand lower wages. 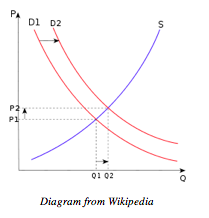 In some cases this affect outweighs supply/demand factors altogether – e.g. in India where very professional translators can work for lower wages. But we would welcome thoughts on this – do you see the balance differently? Which key forces should we also mention? In economics terms, a translation company is working with several related markets – but actually the forces working on the market for each language combination are different. Therefore rates for different language combinations – and subject specialism – do vary.